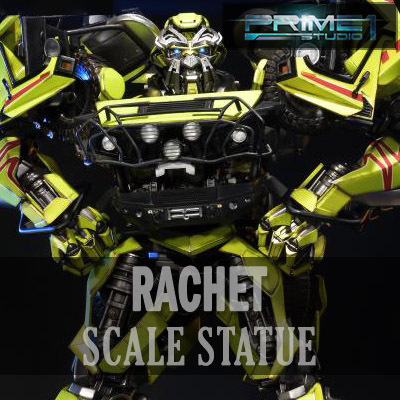 Sideshow and Prime 1 Studio are proud to present Ratchet from Transformers (2007). The Autobot medic officer is probably the bravest of them all. He will risk his life to pull any wounded comrade from the battlefield. Ratchet's well-armed appearance is due to being an improviser with surgical tools as he dislikes violence. When combat is unavoidable, he can employ these makeshift weapons with surprising agility for his size. Nonetheless, he remains one of the most genuinely kind members of the Autobots, valuing their friendship and camaraderie above all else, and would never betray their trust. He may not be the strongest Autobot, but damned if he’s not one of the most dependable.